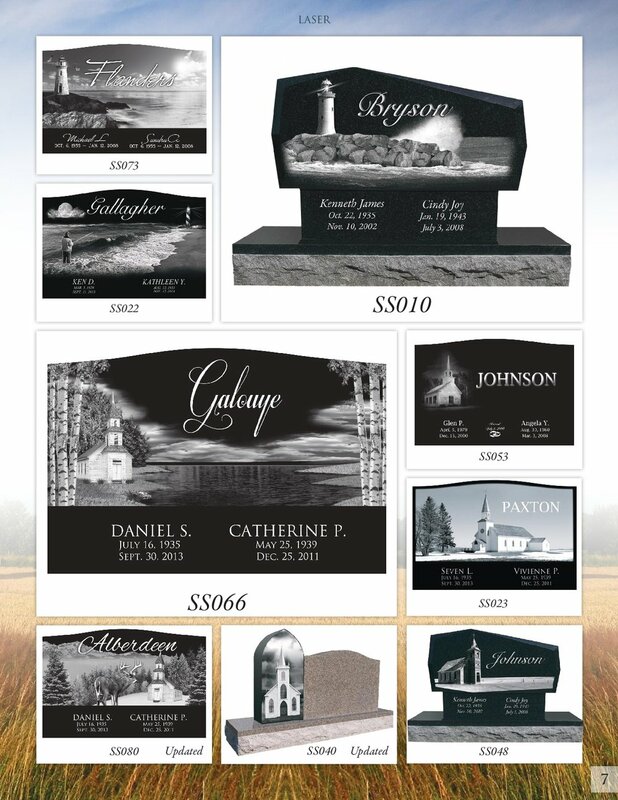 Laser Etching is the process for using a laser machine to engrave AMAZING detail on granite. 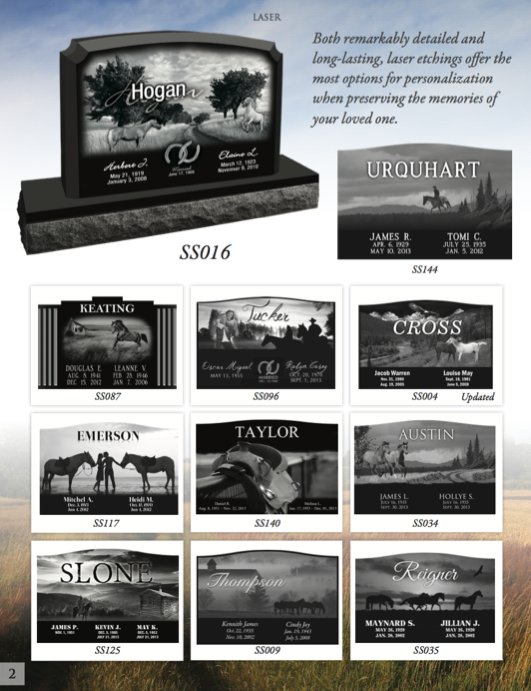 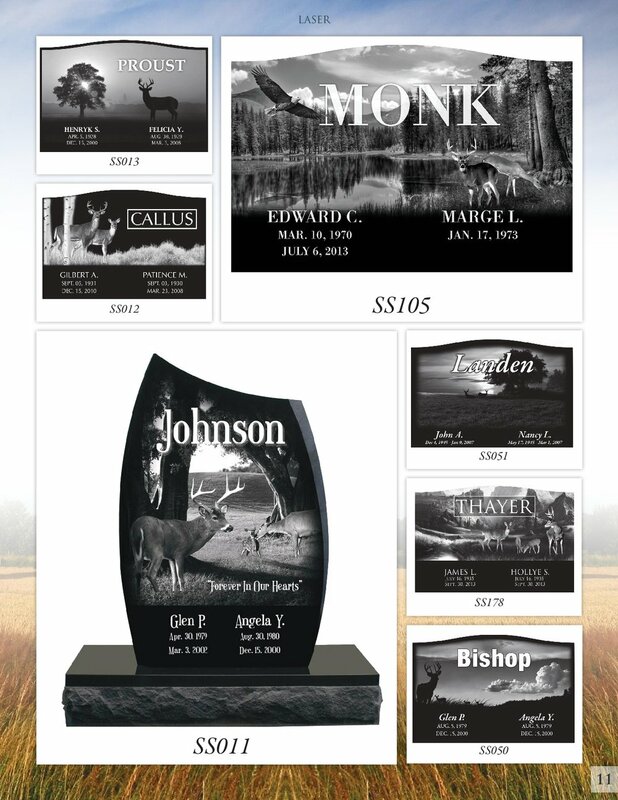 With Laser Etching you can have whatever you had in mind engraved on the Monument. 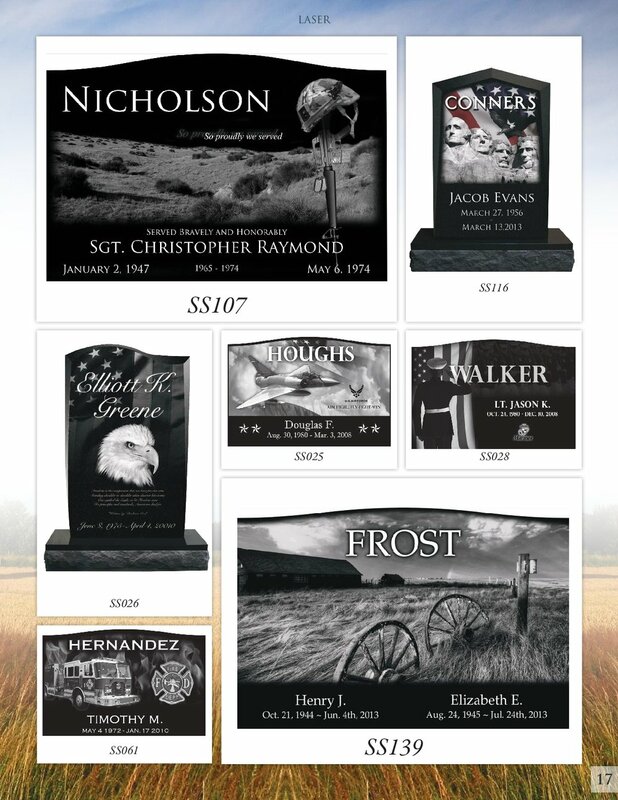 If you can not find a picture of what you want, we can always have our artist draw something for you. 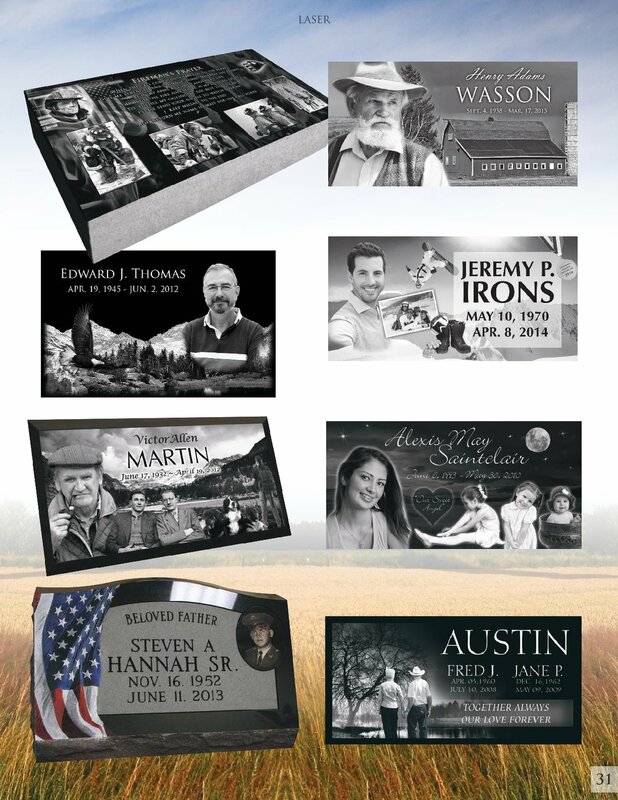 This process is call HAND-ETCHING, it gives off the same appearance as Laser Etching, just once is done by a machine and the other is by hand. 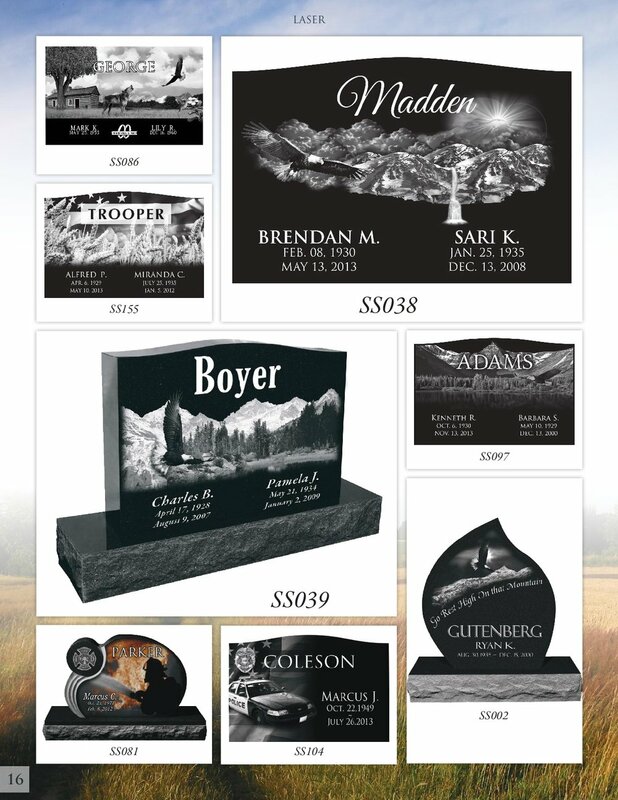 We offer BOTH. 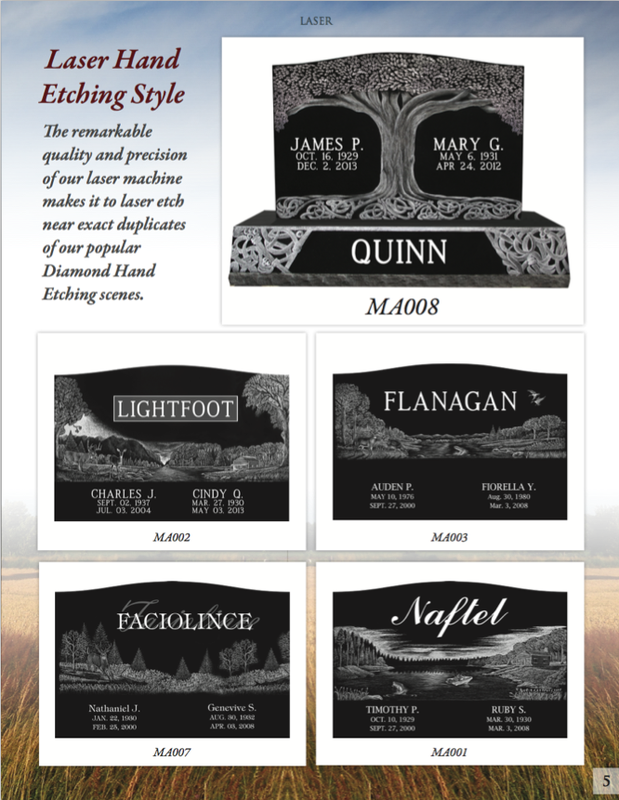 When it comes to both Laser and Hand Etching, the darker the Granite and smaller the grain in the Granite is, the better the Etching will turn out. 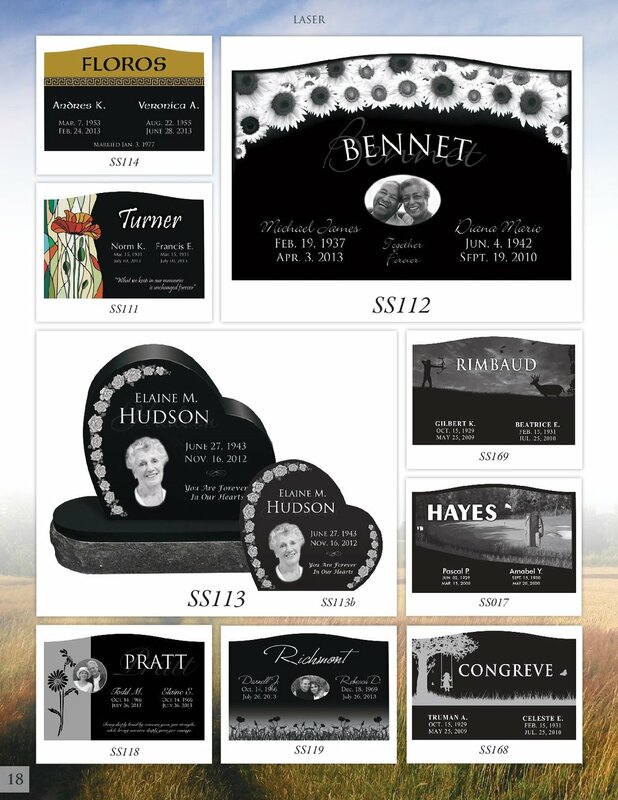 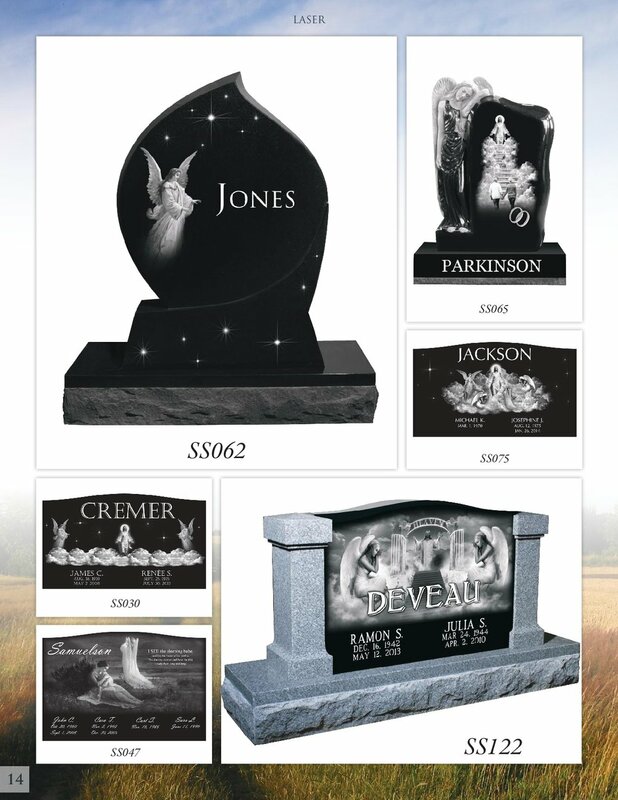 For Pictures of faces Etched, we recommend China (JET) Black Granite. 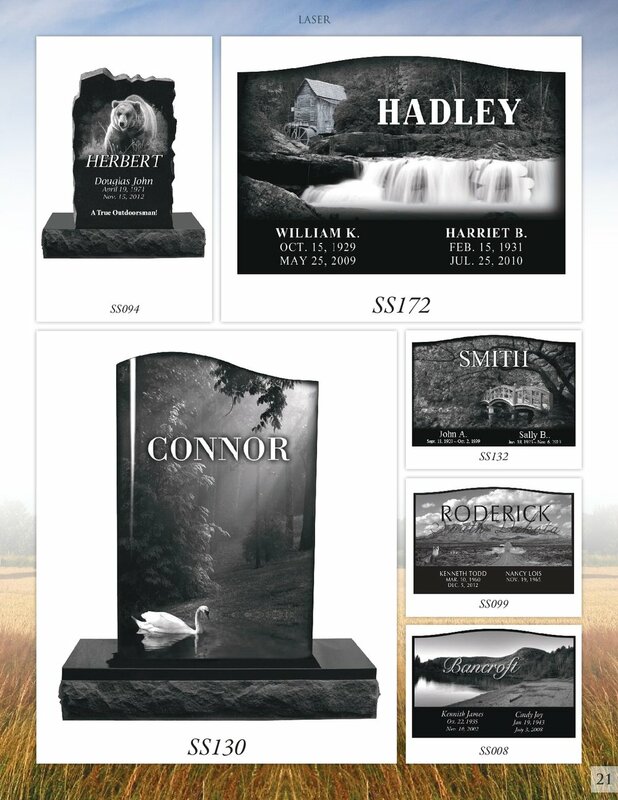 But for Scenes (Fields, Mountains, Farms, Buildings, etc.) 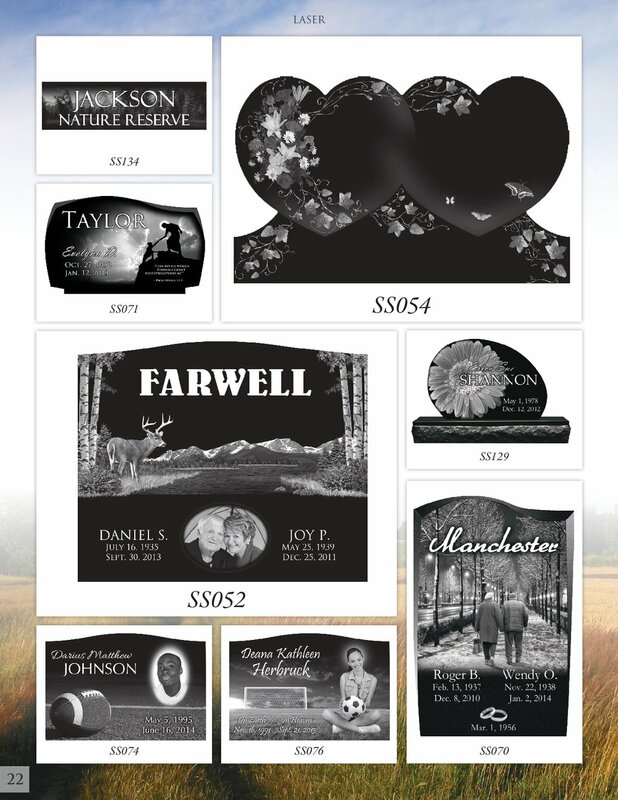 you can etch on China (JET) Black Granite, Dakota Mahogany Granite, Dark Cloud Granite, Chapel Rose Granite, Flash Black Granite, India Red Granite, and many more!